In 2017, genetic researchers in the United Kingdom introduced a powerful new mechanical tool in the growing field of genomics which may guide the way to new cancer treatments. The high-tech genome sequencer, the Illumina NovaSeqTM 6000, was unveiled at The Institute of Cancer Research (the ICR) in London. Whereas genetics is the study of heredity or the genetic properties and features of an organism, genomics is concerned with the structure, function, evolution and mapping of a genome—the complete set of genes or genetic material present in a particular cell or organism. 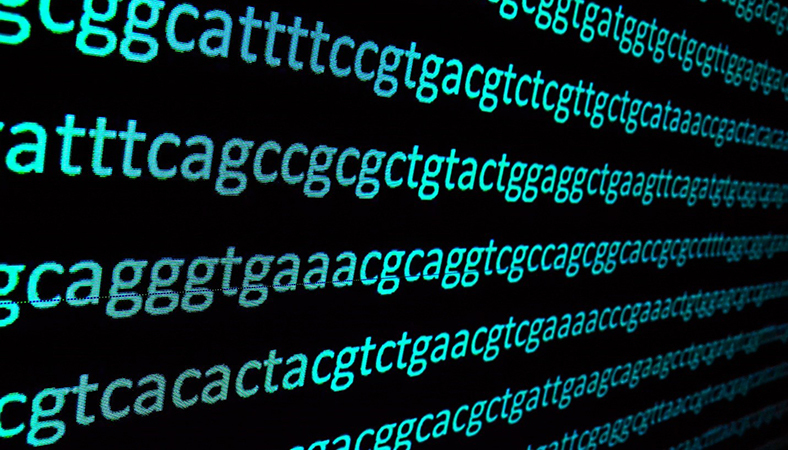 A human genome includes not just DNA (coding, noncoding and mitochondrial), but also the more simply-constructed RNA. With the ability to map the complete genome of individuals, researchers could make enormous strides in being able to better discover why, for instance, a dedicated health enthusiast might develop cancer in his 20s or why a lifelong heavy smoker could go cancer-free into her 80s. Cancer cells, too, have their own genomes, which can be mapped so as to make better diagnoses and treatment plans. A human genome is crammed into two sets of chromosomes, one from each parent. In turn, these chromosomes are composed of six billion sets of just four chemical units, also known as nucleotide bases, that comprise a genetic “alphabet”: adenine, thymine, guanine and cytosine (A, T, G and C, respectively.) These “letters” are the instructions for a cell. If they change places other than where they are intended, the result is the cell acting very differently, possibly detrimentally. With regard to cancer, a mismatch of nucleotide bases (either inherited or generated spontaneously, i.e. “acquired”) can instruct the cells to suddenly begin producing proteins in an out of control fashion. As that cell divides, so the mismatch is passed on, creating a host of malignant cells that can spread and damage the surrounding healthy cells. By studying a cancer’s unique genome, scientists can discover what “letter” changes are causing a cell to become a cancer. Several projects, including the Cancer Genome Atlas and Cancer Genome Characterization Initiative, are currently genetically sequencing thousands of cancer biopsies. Genomics has fostered fundamental paradigm shifts in oncology. Among the most impactful is evidence that cancer genes come in three types. One, tumor-suppressor genes, normally restrain tumor generation and growth but can lose effectiveness due to a mutation. Two, oncogenes, normally promote normal cell growth but can actually promote chaotic growth due to a mutation. And, three, DNA repair genes, normally correct damage or mutations in the cellular DNA but, in the case of cancer, fail. Moreover, the genome of a cancer cell can also be used to tell one type of cancer from another, which has led to vital discoveries, such as previously unidentified subtypes of certain cancers like the HER2+ form of breast cancer. By studying cancer patients’ genomes, doctors can better fine-tune treatment regimens.